These oval cufflinks with a high-polish finish are a gift that really shines! The pillow-like design makes a unique accessory for many. Links are one of the few pieces of jewelry that most men can use to demonstrate self-expression. Customize them with up to three letters for a personal touch. Cufflinks measure about .75" x .5". 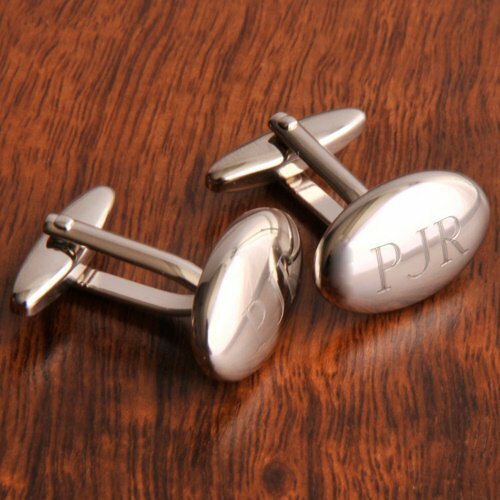 Great for business associate gifts or as gifts for wedding groomsmen. Note - This item includes a personalization, color, size or design option: Text Line 1 (e.g., Monogram) (max of 3 characters) (Free of charge). You may specify this information during our checkout process.